Join us this week as we welcome the fast rising country pop music singer songwriter, Polly Baker. Hailing originally from Vienna, Va., Polly now resides in L.A. CA., She grew up in a family of musicians. Her parents met singing in a Top 40 nightclub band together that performed in nightclubs from Maryland to D.C. to Virginia. Polly is a pianist, as well as a dreamer and a tap dancer. She loves airports, cold weather, hydrangeas, Thomas Kinkade paintings, seersucker, Lilly Pulitzer, eyelet, grocery stores, Christmas movies, scarves and huckleberry tea. She also writes a lot of songs. "It is just one way to capture my experiences. I am amazed at how a song can take you back to an exact moment...melodies really do sound just like memories." Baker cites as her main artistic influences, such songsmiths as Taylor Swift, Kate Voegele, Selena Gomez, Katy Perry, Thomas Rhett, Dan+Shay, Florida Georgia Line, Luke Bryan, Cassadee Pope, and Maroon 5. Polly Baker released her debut pop single, titled, “Good at Goodbyes” in 2013 and her latest single "Leaving It Up To You" will be releasing on July 29th, 2014. Her limited edition EP "Chasing Mistakes" is available on her website. We will talk to Polly about her upcoming schedule, get a behind the scenes look at her music, feature her latest songs, and ask her to share her message for the troops. 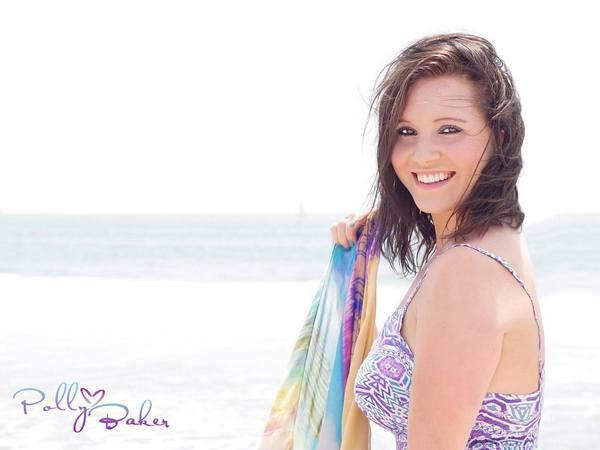 Please be sure to visit Polly Baker at http://www.pollybakermusic.com/ and spread the word. Fans are welcome to call in and speak live with with Polly during the show (718) 766-4193 If you would like to participate in the live chat during the show, you must sign up on the show site first and then log in during the show. More great music for a really great cause! Our message to the troops....WE do what we do, because YOU do what you do.